I’ll be signing copies of In Winter’s Grip and Second Chances on Thursday, December 5 between 6:00 and 8:00 p.m. in McNally Robinson, Winnipeg. Signing In Winter’s Grip (Dundurn Press). After her mothers suicide, Maja Cleary turned her back on her family and Duved Cove, Minnesota until a desperate phone call reveals that her father has been murdered and her brother Jonas is the prime suspect. She flies home, knowing that she will have to confront shared memories of an abusive father. Even as she works to prove her brothers innocence, she cannot ignore the evidence that he had every reason to kill their father. The frigid, stormy Minnesota landscape sets the mood as she battles against time, the local police and the relentless snow. 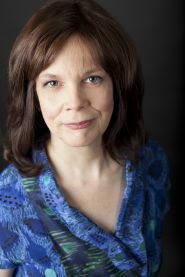 Brenda Chapman began her children’s fiction career with Running Scared, the first in the Jennifer Bannon series. Hiding in Hawk’s Creek was shortlisted for the CLA Book of the Year for Children. Where Trouble Leads and Trail of Secrets followed. Her first mystery for adults, In Winter’s Grip, was published in 2010. She lives in Ottawa. Chapman will also be signing her YA novel Second Chances.